Dan received his Ph.D. in molecular genetics from the University of California at Davis. At MIT, he pioneered the use of robotic methods for the development of smart biomaterials for use in medical devices, cell therapy and drug delivery. In particular, the advanced drug delivery systems he has developed provide new methods for nanoparticulate and microparticulate drug delivery, non-viral gene therapy, siRNA delivery, and vaccines. Dan currently is the senior scientific advisor for the Living Proof discovery group as well as senior advisor on the company's intellectual property strategy. 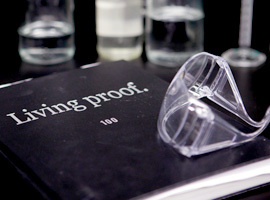 Jon originated Living Proof's vision of assembling a team of medical and biotech scientists to develop advanced technology for consumer hair products. Jon served as CEO of Living Proof from November 2010 through December 2011. He is also the co-founder and a managing general partner of Polaris Partners, a $3 billion venture capital fund with offices in Boston, New York City, and San Francisco. Jon's current board seats include Athletes' Performance and JibJab Media. Dr. Bob Langer is one of only 13 MIT Institute Professors and the pioneer of tissue engineering and drug delivery through the skin without needles. His research has led to treatments for over 10 million patients. With his name attached to over 800 patents and thousands of articles, Bob is the most cited engineer in history. In addition to over 210 awards, Bob holds the distinction of being the youngest person ever elected into all three National Academies (science, engineering and medicine). He has been named one of the 18 most important people in science or medicine and one of 15 innovators who will reinvent the future. 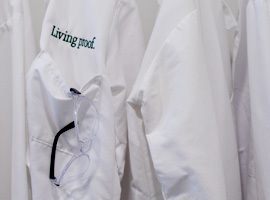 Bob is a co-founder, Chief Scientific Advisor and idea generator for the scientific discovery at Living Proof. Amir has been investing in technology breakthroughs at Polaris since 2002. During this time, he has helped start companies in areas ranging from bioactive devices to stem cells to consumer devices to energy. As the startup CEO of Living Proof (then named Andora), Amir led much of our early technological innovation and creation. Prior to joining Polaris, Amir did basic research on advanced composite materials and bioactive micro-machines at UC Berkeley, and polymers and neural stem cells at MIT. A hairstylist and color expert for over 25 years, Mitch trained alongside the top hairstylists in North America and Europe before launching his own salon, Mitchell John Salon in 1989, located in Boston's Financial District. Over the years, Mitch has worked with such magazines as Italian Vogue, German Elle, and Harper's Bazaar as well as with models and celebrities, including Gisele Bundchen, Natalia Vodianova and Daria Werbowy. 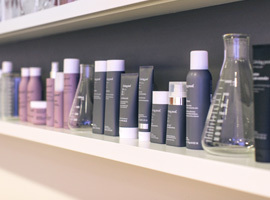 Mitch is actively involved in all areas of Living Proof's business including technology screening and product evaluation across our hair programs. Ward began his career as a teenager styling hair in some the most progressive salons in Amsterdam. Trained at the Vidal Sassoon Academy, he quickly realized that his interest was in styling for editorial and runway and made his way to Paris. Since then, he has worked around the world for Vogue, Harper's Bazaar, Numero, Elle, Marie Claire and Allure. He has also been the creative stylist on the runway shows for Jean Paul Gaultier, Fendi, Dolce & Gabbana, Valentino and Donna Karan; he's also worked with some of the world's top photographers and celebrities, including Scarlett Johansson and Penelope Cruz. Past industries: a litany of start-ups, including medical devices, healthcare and financial trading platforms, and product lifestyle software. The “it” changes but what stays the same is this: he’s all about collaborative, supportive teams that work hard toward the same mission. Responsible for: Leading our Discovery team (the scientists uncovering new ingredients to solve your biggest hair challenges) and our Analytical and Product QA team (the scientists who go to all ends to make sure every single bottle of Living Proof is of the highest standards), and spearheading all of our robust Product Safety and Regulatory Affairs team. Responsible for: Leading the formulation team to create products that feel good, go on well, and work better than anything else you’ve ever tried. Scouring the globe for the newest innovations in beauty and beyond and dreaming up ways to leverage them in a new, industry-disrupting way. Before he solved your biggest hair challenges he: designed shave gels, innovative self-heating gels, and more. He used to work on the best ways to get hair off; now he works on the best ways to keep it on. Secret to a happy marriage: get up before the kids every day to have coffee with your wife. Responsible for: every aspect of the beautiful, custom packages you know and love us for. What that entails, in her own words: Two of our biggest concerns are package compatibility and package functionality. Can the materials chosen for the packaging components stand up the product formulation maintaining product integrity and freshness? Does the method of dispensing the product from the package (lotion pump, flip top cap, aerosol valve) allow the product to be evacuated consistently from the first use to the last use. That’s why we do so much testing. Is the customer delighted every time she uses the pack? CV highlights: Over 25 years (!) developing packaging innovations on a global stage. The inspiration behind our bottles: No Frizz is meant to be reminiscent of a test tube—it’s a subtle and sophisticated nod to science. Full is a line for people who want bigger, fuller hair, so we created bottles that were round, full, and had a wide presence. Restore is meant to invoke health—it’s inspired by the shape of a milk bottle. Perfect hair Day packaging gives a nod toward Erlenmeyer flasks. Responsible for: Making you fall in love with Living Proof and tell all your friends about it. 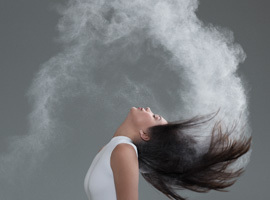 CV highlights: Named one of Business Insider’s Most Creative Women in Advertising. Ten-year stint at Digitas, where she built the Social Content practice and award-winning real-time marketing platform, BrandLIVE. Got her start in sports marketing for Fortune 500 Brands. Responsible for: Closing the deal and managing sales across retail, salons, and broadcast. Why she works here: way back when (2008, before we even sold products) we gave her an unlabeled bottle of an early formulation to recruit her. She was hooked. At that point, the only way to get more product was to work here. She’s been at Living Proof ever since. Responsible for: getting Living Proof in the hands of anyone outside of the United States. Favorite travel memory: spending a few nights with a family in the middle of Vietnam while his motorbike was being fixed. By the end, they felt like family. Packing strategy: always have a set of personal items ready to go, and learn that it isn’t a fashion show…except sometimes it is.